Ochratoxins (OTA) are mycotoxins produced by mold fungi such as Aspergillus and Penicillium. 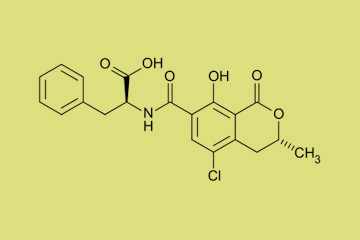 Ochratoxins can be found for example in cereals, coffee, dried fruits and red wine, and their accumulation in the human body is classified as carcinogenic. Dietary intake of ochratoxins can cause acute kidney damage. It is therefore strongly recommended to check food and feed for their contamination with ochratoxins. Limit values are regulated differently in each country and are defined as 5 µg/kg for unprocessed grain, as 2 µg/kg for wine, or as 0,5 µg/kg for maximum occurrence in infant formula. A list of currently available aokin Ochratoxin products can be downloaded here.